The school provides educational services and support for students with diverse educational needs, based on their individual evaluation and diagnosis. 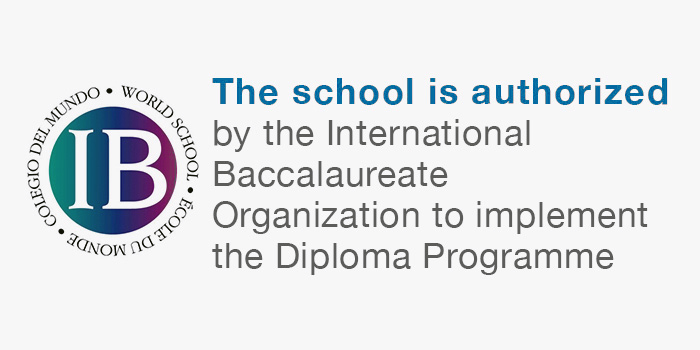 These are provided by the school and by external specialists. Educational and behavioral goals and strategies for students' progress are recorded and reviewed regularly in an Individual Education Plan (IEP). Most students receiving Learning Support services fall into the category of learning difficulties. However, the school is continually opening opportunities for students with identified needs ranging from physical and sensory difficulties to specific syndromes. If there is to be successful inclusion of students with identified needs, adequate support in the classroom both for the students and the teachers must be ensured. Learning support assistants in the classrooms work in partnership with the teacher to assist the students in achieving a successful educational experience. We seek to improve the quality of education and to provide opportunities of “success for all”, creating a positive school environment that respects and values differences. Despite finite resources, we are determined—with our strong belief in the values and principles of inclusion—to continuously develop our program. Our students are a source of inspiration to our school community. Together we will help develop communities that value all people and promote equal opportunity.